Every business, in every industry, relies on the efficiency and stability of the supply chain to survive and to succeed. To maximise sales, you make the most of your existing network of outlets and then grow it. The challenge is that, as you expand, your network gets bigger and you have more inventory, more assets and more interactions to regulation. Does your distribution team have the right tools at hand to monitor this activity, schedule processes and take swift and effective action? 4C360 is a plug-and-play platform that we designed to aid managers in every part of the operations process. This is an end-to-end, integrated solution that allows you to access, organise and manage incidents, your workforce and assets all in one place – your Single Platformughi-tablet. No matter how big or small your distribution needs, all your unique business data is tracked in real-time. 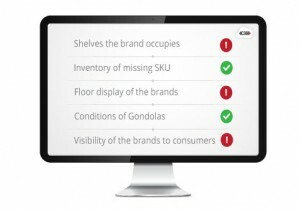 For instance, imagine you could monitor the availability of each SKU, for every store? 4C360 lets you take full control of your business in every aspect, in less time and with less risk of mistakes. So you can effectively make decisions and plan operations in tune with the needs of your unique business offering. Optimise performance and quality management programs. Safeguard your wealth and protect your shareholder value. Minimise and control the risks. 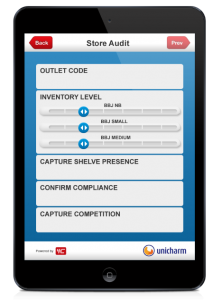 Monitor compliance for merchandising, safety and storage.